Attention Teachers! 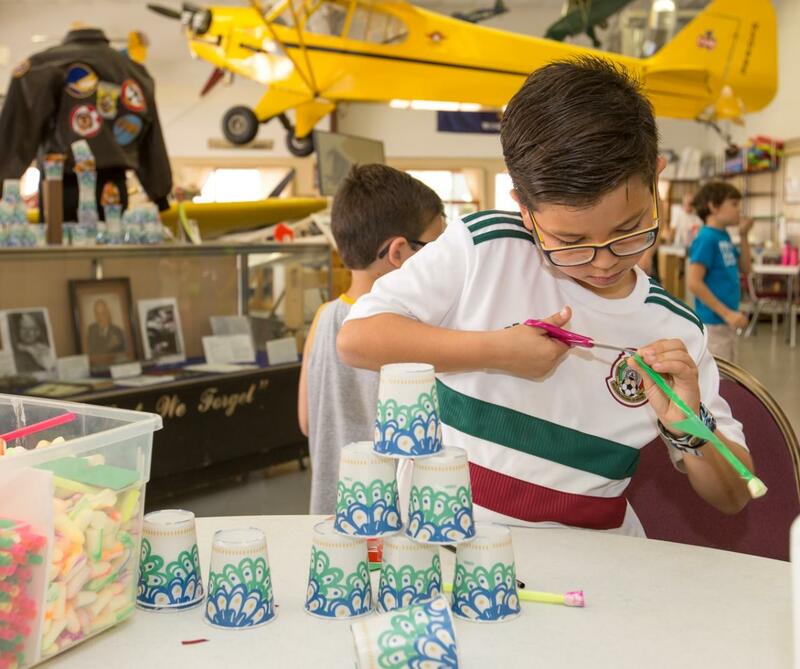 Pearson Field Education Center offers aviation and STEM focused field trips from students in kindergarten to 12th grade. Bring your class for a fun, unique and informative field trip! Located on Pearson Field, one of the oldest operating airports in the United States, students have an opportunity to get up close and personal with aviation during their field trip to Pearson Field Education Center. This tour begins with a group lesson that answers the question “How do airplanes fly?” Afterwards, students explore and learn more about the science and history of flight by taking a tour of the hangar, experimenting with the flight controls in a historic aircraft, completing a STEM lesson about the science of flight and fly an aircraft on the flight simulators. This field trip complements Next Generation Science Standards' force and motion units. This two hour long field trip is for groups of 12 to 48 students and can be scheduled from 10:00 am - 12:00 pm or 12:30 pm - 2:30 pm. Groups with more than 48 students may schedule field trips for multiple days. Space is available for groups to stay for lunch. Cost of this field trip is $5.00 per student. Title I schools qualify for a free or reduced rate. Teachers and chaperones may attend at no cost. Schedule a field trip at the Pearson Field Education Center today! For more information contact Deborah Barton at 360-992-1815 or deborah.barton@thehistorictrust.org.